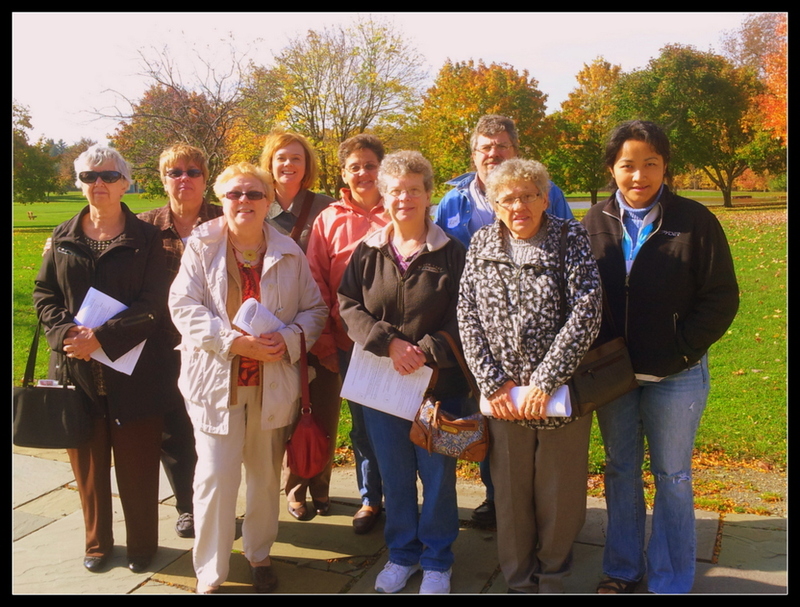 On a sunny Saturday in October, SJK was represented by 12 parishioners at a workshop on evangelization sponsored by the Buffalo Diocese at Christ the King Seminary, East Aurora, NY. Left to right: Caroline, Chris, Janis, Jennifer, Vivien, Ann, Randy, Connie, Lucy. Attending but camera shy: Mike, Sr Johnice, Bob.